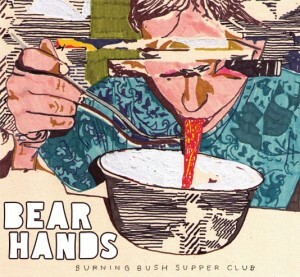 First time through Dallas and BEAR HANDS have already been profiled in SPIN Magazine. Here is an article and stream of their new album Burning Bush Supper Club (cantora). Locals Sunn Talk and Kiwi Sisters to start things off at 9PM at The Nightmare | 2810 Elm St. | Prince William to DJ inbetween acts and after. This entry was posted on November 8, 2010 at 11:21 pm, filed under News.